Leading Thailand hotel and property developer Dusit International has demonstrated its commitment to India by organising a roadshow to showcase its hotel portfolio. ‘India Roadshow 2018’ reflects the company’s focus on India as a source market for its hotels and resorts, and as well as showcasing its distinctive properties to the Indian travel trade fraternity, the event featured one-day workshops in Mumbai and Bangalore. 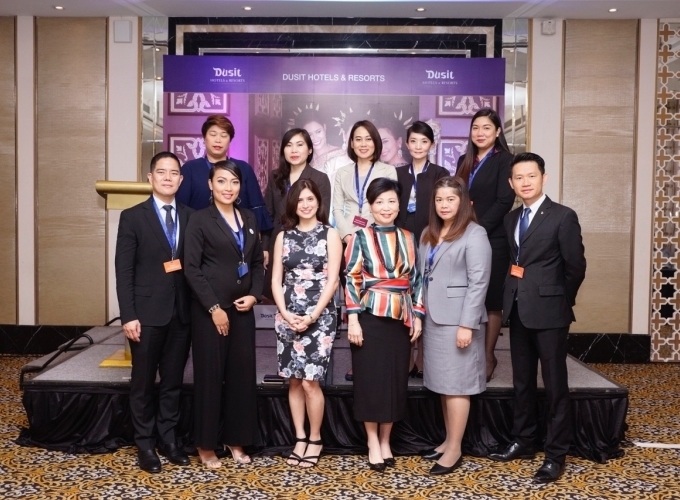 On both occasions, Dusit executives presented the company’s award-winning properties in Thailand, Maldives, and Dubai, as well as key openings in 2018 across Bahrain, Bhutan, China, Philippines, Singapore, and Vietnam. They also revealed how they are exploring options to open Dusit-branded properties, under hotel management or franchise models, in India within the next three-to-five years. Outbound travel from India – increasing by approximately 25 per cent per year and expected to reach 50 million travellers by 2020 – is a huge market that offers massive potential for hospitality companies. Prachoom Tantiprasertsuk, vice president Sales, Dusit International, said India ranks ninth for Dusit International in terms of room nights overall and the target is to make India its fifth largest source market by the end of 2018. As a source market, he said the Indian market consumed 45,000 room nights in Dusit properties in 2017, and the target is to grow that to 80,000 room nights this year. “As evidenced by the recent opening of our new Global Sales Office in Mumbai, India is a key market for our international properties, and this roadshow is just one of the ways we are actively promoting our brands and gracious hospitality to Indian travellers,” he explained. “Taking into account our own expansion, which will see our current tally of 27 properties top 80 worldwide within the next four-to-five years, we will be well positioned to leverage the rapid growth of India’s outbound market with a plethora of options for MICE and leisure travellers.